Robert A. Schultz was born in Chicago, Illinois. In 1977, shortly after graduating from John Hersey High School, he joined the U.S. Navy. In 1978, the U.S. Navy brought him to work at the historic Pearl Harbor Naval Base in Honolulu, HI., where Robert has been a resident ever since. Robert petitioned Hawaiian Lodge F.& A.M for masonic membership in 1993 and became a Master Mason later that year. Two year’s later, in 1995, he joined the officers’ line as the Marshal and served as Worshipful Master in 1999. Later, Robert applied for the Scottish Rite Degrees in the Valley of Honolulu, where he joined the Honolulu Chapter of Rose Croix and eventually served as its Wise Master in 2007. While in the Rose Croix officers’ line, Robert volunteered to assist in the presentation of the Honolulu Scottish Rite’s reunions as the Director of Sound, and later Lighting. 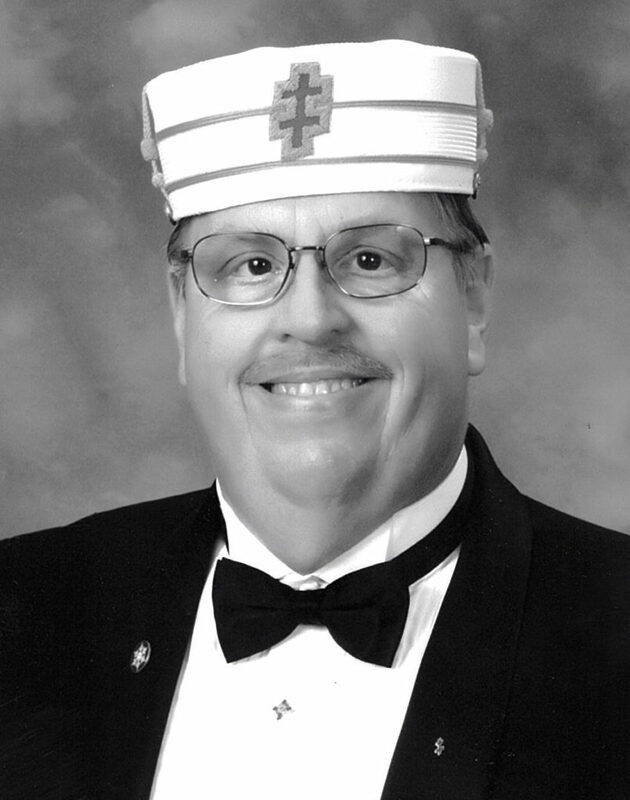 In 2013, Robert accepted the position of Director of Ritual for the Honolulu Scottish Rite, a position which he continues to serve in. He was invested with the Rank and Honor of Knight Commander Court of Honor (KCCH) in 2005 and coroneted a 33° in 2013. In 2017, Robert accepted the responsibility of Personal Representative to the Deputy of the Orient of Hawaii and Guam for the Valley of Honolulu. He is a member of Aloha Shriners; an emeritus member of the Board of Governors, Shriners Hospitals for Children – Honolulu and currently serves as Orator of the Grand Lodge of Hawaii. His lovely wife accuses him of enjoying woodworking, playing computer games, watching television news and traveling.